Three plays comprise the 22nd theater season of Tanghalang Pilipino: Golden Child, Mga Gerilya ng Powell Street, andGanito Kami Noon, PaanoKayo Ngayon? 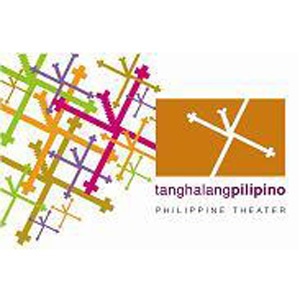 Tanghalang Pilipino, the residenttheater company of the Cultural Center of the Philippines (CCP), tackles theinevitability of change and the promise of transformation as confronted byindividuals faced with life-altering choices. Golden Child by David Henry Hwang, the firstAsian-American to win a Tony Award for Best Play for his broadway hit M. Butterfly, opens Tanghalang Pilipino's 22nd Theater Season inAugust. Golden Child is about EngTien Bin, a businessman who has spent years doing business in the Philippines,and his return to China in the early 20th Century. Having beenexposed to Christianity and western ways, he sets about unbinding histraditional Chinese household. His efforts lead to a game of one-upmanshipamong his three wives, leading to unintended consequences. Golden Child is brought to the Philippine stageby New York-based Loy Arcenas, the same director responsible for the Obie-awardwinning play The Romance of Magno Rubio,and will have its gala night at 8 P.M. on August 8, 2008 at the TanghalangAurelio Tolentino (CCP Little Theater). Mga Gerilya ng Powell Street is a novel by Benjamin Pimentel Jr. about Filipino World War IIveterans who availed of American citizenship. They become daily habitués of SanFrancisco's Powell Street who dream and talk about of their return back home tothe Philippines. Their heart-rendingyet sometimes comical stories will find their way onstage in playwright RodyVera's stage adaptation under the direction of Chris Millado. Mga Gerilya ng Powell Streetgoes onstage at the TanghalangHuseng Batute (CCP Studio Theater) beginning November 14, 2008. Ganito Kami Noon, Paano Kayo Ngayon?is a landmark film considered to be among thebest by National Artist for Film Eddie Romero. Set at the turn of the 20th century, it follows the travelsand travails of a young man (played by Christopher de Leon in the film) as heevolves awareness and appreciation of his identity as a Filipino. In February 2009, Ganito Kami Noon, Paano KayoNgayon? transformsinto a modern sarswela from alibretto by Palanca award-winning playwright and historian Jose Victo Torreswith music by respected composer Lutgardo Labad, under the direction of DennisMarasigan. As the closing production ofTanghalang Pilipino's 22nd Theater Season, Ganito Kami Noon, Paano Kayo Ngayon?also helps usher in the 40thanniversary celebration of the Cultural Center of the Philippines. Subscriptions and sponsorshipopportunities are now available for Tanghalang Pilipino's 22nd Theater Seasonproductions. For inquiries and furtherinformation, please call 832-3661 or 832-1125 locals 1620 or 1621 and look forYvette Macayan or Paulo Perez.